Copying and printing cost is one of the major costs incurred by most companies. The company management is aware of this and they try to take measures to curb them. The common and the foremost measure any company puts-in is, it limits usage and imposes accountability on the user. This works outs well as people try to stick to the rules and do not print unwanted sheets thus, resulting in the printing cost reduction. This yields results but, this alone will not work in long-term. Few companies even applied click-charge based contract or hire managed services to supervise the copiers and printers in the office. The positives of this practice is, the new machine has latest technology reduces the cost per page, works well by giving better output and overall it reduces the usage and brings down the expenditure. This measure is also a good one but; this will not help in long-term cost saving approach. People looking for a resolution implement these two measures and assume that the problem will be resolved but, in truth it creeps back in few months. There are four steps that need to be implemented to have a long-term control. 1. Moderate and decrease the number of pages that are printed or copied. 2. 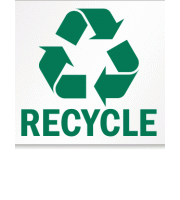 Moderate and decrease the toner, ink and color usage. 3. Moderate and decrease the number of printers and copiers, monitor the usage and cut back the cost per page. 4. The access to use has to be restricted and optimized. First step involves creating awareness and accountability. It involves putting in place measures and rules to ensure that there is no unwanted or accidental printing or copying. This will create awareness that people are supposed to print only what is necessary. The plan includes the following actions. a. Assessing individual usage and cost involved. b. Checking accidental duplication. E.g. disabling multiple clicks on print icon. c. Creating pop up warning messages to get a confirmation from the user if the page was supposed to be printed. d. Limiting the numbers of pages printed, color printing, type of file printing. e. Implement correct paper size usage, quotas based on value. f. Implementing the system of charging the cost on the user either entirely or for the excess copies beyond limit. g. Implementing the process of holding the file to be printed in queue till the user confirms to print it. After the implementation of the first step which controls the number of pages printed or copied, the next step involves managing toner, ink and color usage. Most of the time, the printouts are taken for office purpose or rough drafts and these need not be in high quality, so the settings of the printer could be altered to reduce the usage of toner and this will help in bringing down the cost to a greater extend. The plan requires the following actions to be put in place. a. Stating the usage of toner based on the need of the printed page. b. Put into practice the usage of mono and duplex printing. c. Implementing usage policy in specific to users, machine or even the type of file that is being copied. d. Creating awareness among the users to use different toner or toner settings for images and texts printed. The new devices are technologically advanced and in themselves give 20% savings as the quality of the output is good. Moreover, most of the files or documents that are printed need not be in top-notch quality hence giving the scope of restricting the toner, ink and color setting can also reduce the cost to a greater extend. Furthermore, as these devices are advanced and provide technological support to change the settings based on user or type of document printed, one can still be able to take out high quality output when necessary. It is important to get this step implemented before approaching a managed service since one can get a good pricing as the cost has been reduced considerably from what it was earlier. The contract with the paid service will have a fixed cost along with wastage and toner overuse cost. Hence it is mandatory to put this system in place and reduce the cost before approaching a managed service. Third step involves taking into account the devices used to work out the cost per page and taking necessary steps to reduce it. The best way to do so is by replacing the old ineffective printers, scanners or copiers with up to date technologically advanced large capacity, low-cost devices. This furthermore improves the quality of the printout since the technology is new and advanced. It might not be possible to buy new devices hence the choice, managed services. 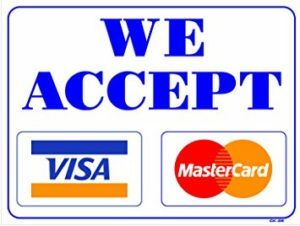 These service providers have devices that are advanced and almost all the cost is included in the fee. They service provider fixes cost per page rate based on the type of print out taken. Mostly even the maintenance, hardware and software costs are inclusive. The final step would be to manage the implemented system by monitoring and reviewing the results achieved in lieu with the expected results. As and when the requirements and trend change, the system has to be adjusted to meet the requirements. A software agent that is provided by the service provider collects the data from all the devices using SNMP and feeds it into a hosted “cloud” application from which the data can be analyzed and referred from the end-user management portal. As a user you can check the over or under usage of devices and any violations, if any through the portal based on the analyzed data. The optimizer feature available also recommends replacement or non usage of devices to reduce cost. There is a function that is called contract management capability that helps maintain the contract rates and provides data on costs so that one can cross verify with the any of the service providers billing information. This is one of the best ways to help negotiate the renewal fees with the service provider or help you to evaluate the performance of the vendor. When implementing and following these 4 Steps, there will be a drastic change in the output and the cost incurred due to it. All four steps have to be implemented one by one and followed religiously as they are inter-dependent and the system will fail even if one is not being followed properly.